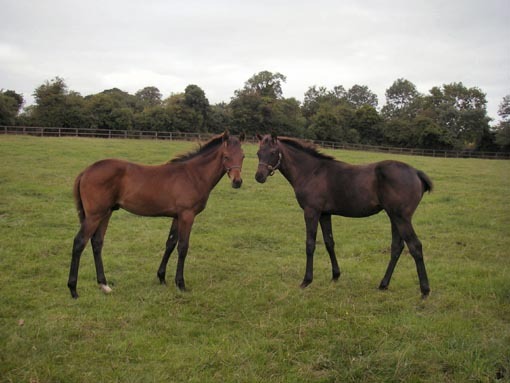 It seems like only yesterday when Theola and Khayar were foals playing together in the field! 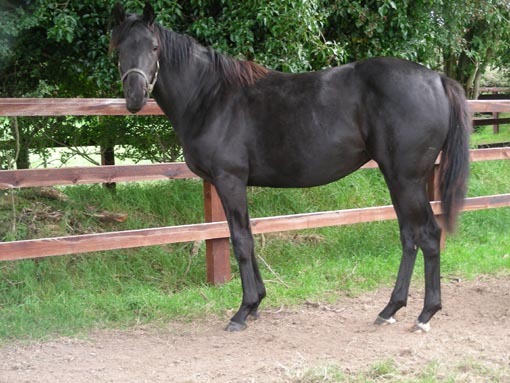 From Foal to Racehorse - only in two years! This is really what it is all about. 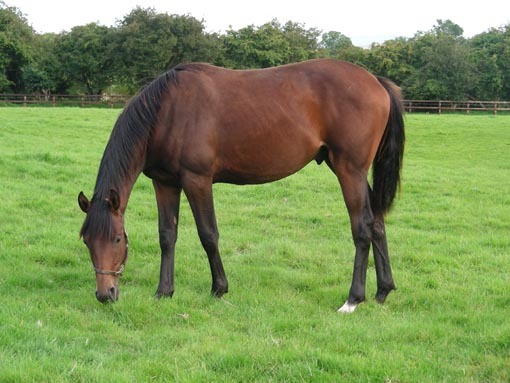 To plan the mating, foal the mare, raise the foal, educate the yearling to become a willing partner and to see it reach maturity with a good trainer who is a proper judge and can let each horse fulfill its potential. And if they run and win, that is the icing on the cake! 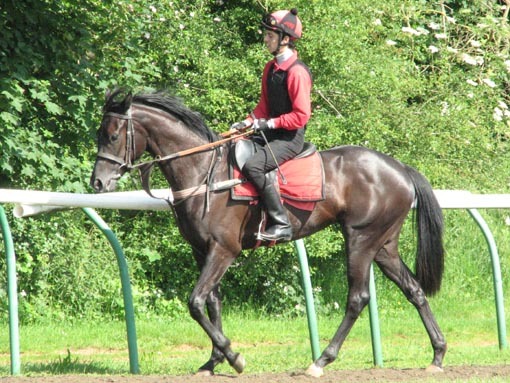 It never ceases to amaze me how quickly Thoroughbreds can mature and grow up. And it is with great satisfaction one observes them turning into racehorses. It is rather like watching children grow up and when they do well, one rightly feels incredibly proud! It is with great pleasure that I see Mark Tompkins truly appreciating all the groundwork that we do here at the farm. Both Theola and Khayar are excellent and enthusiastic pupils and are already becoming very professional at their job. 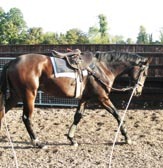 Khayar will be getting an educational run in the not far distant future. 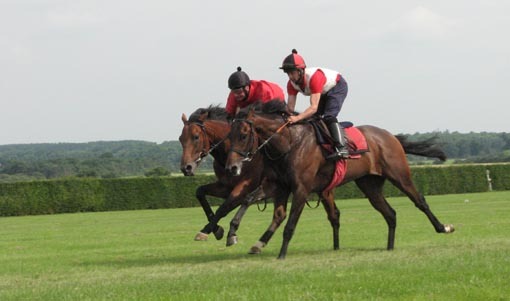 Above: Khayar (nearside) working on the famous Limekilns. Below: Khayar and Theola a year ago in the paddock, fat and happy and then working in long reins before being ridden at home and finally sent off to the training yard.